Originally a script for a video review, so some parts may stick out and, without visual aids, I recommend having played the game already! 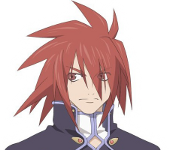 Note: this is for the original Tales of Symphonia, so if anything changed in the re-release, I haven’t touched on it here. Note: Colette couldn’t see anything without her soul. 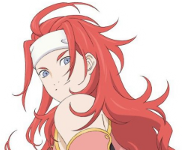 and calls it gross-looking and Zelos tells her that’s not an appropriate thing to say, even though he didn’t care the last time he saw it. Everyone also laughs at Lloyd for being uglier than The Great Zelos Wilder—I can’t make that up—and then they’re off. His face loses out to mine, though. The boat can be shrunken and transported in a capsule like in Dragonball, which amazes Lloyd. …wait. If shrinking things into capsules is new technology to him, then Noishe can’t be—no. No, I’m done with that part. Not thinking about it anymore. Before our next destination, the most interesting skit in the game pops up. I remembered it not showing until Flanoir, and even the official manga places it there, but if it can show up here too, let’s go. The Two Chosen skit! The only skit to make it into the sadly-rushed manga. 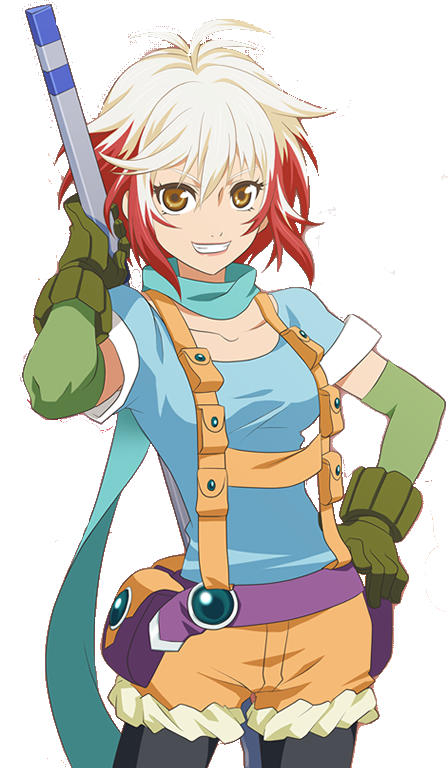 This entry was posted in Gameplay vs. Story, Reviews, RPG Rundowns, Thinking Ruins Everything, Thought Food, Video Game Writing and tagged Game Heroes, Game Heroines, RPGs, Tales of Symphonia on March 23, 2014 by JellyPaladin. Before we set off, Raine delivers the final dungeon disclaimer that there’s no guarantee they’ll return. She and Lloyd get the slow dragon and are last to arrive, while Martel and Kratos are already inside. The others move in and find Remiel, who explains that Martel will lose her heart and memory to become a true angel. Raine also knows a few new details. She promised Martel earlier not to say anything, but now reveals that she’ll die. Oh, that Martel and her web of lies. To think Lloyd actually believed he found out the whole truth. This entry was posted in Gameplay vs. Story, Reviews, RPG Rundowns, Thinking Ruins Everything, Thought Food, Video Game Writing and tagged Dragon Quest, Game Heroes, Game Heroines, Pokémon, RPGs, Sakura Wars, Street Fighter, Super Smash Bros, Tales, Tales of Symphonia, Tales of the Abyss on March 7, 2014 by JellyPaladin. Everyone notices that Colette doesn’t feel pain from the wound she got for saving Lloyd’s sad self, so he spills the truth. Becoming an angel means losing her humanity! You’re phrasing this so negatively. She isn’t limited by pain, she’ll never fear starvation or be distracted by hunger, she can do anything she wants at any hour without being tired, and any pretty area would be a good vacation spot regardless of the climate, not to mention her ability to fly, her enhanced hearing, and her superior vision. What’s the problem? Raine sets her second ranch to self-destruct mode and here comes another moral dilemma. I think. The party’s worried about Colette. 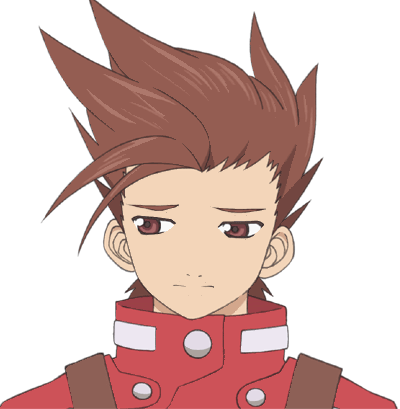 Especially Lloyd, Genis, and Sheena—yeah, Sheena. Colette was right about her being a softy. In fact, Sheena shows more sympathy than anyone else, though they all want her to stop the journey of world regeneration—but hold on. Let’s think about this. First problem: Colette makes it pretty clear that she doesn’t care. If Colette doesn’t mind her situation, why should I? People have different lifestyles. Some of them I would never consider for myself, but if the people living them are happy, who am I and who is anyone else to judge? This entry was posted in Gameplay vs. Story, Reviews, RPG Rundowns, Thinking Ruins Everything, Thought Food, Video Game Writing and tagged Final Fantasy, Game Heroes, Game Heroines, RPGs, Tales of Symphonia on March 5, 2014 by JellyPaladin. Oh, right. “I just believe” isn’t too terrible a response. We all believe in at least a few things we haven’t seen firsthand. And I’ll give credit for not pulling out Pascal’s Wager. No, not that Pascal. Wrong Tales game! caption briefly flashed; people will have to pause if they want to read it: In all seriousness, while Pascal’s Wager may be a poor reason for Christian faith because of the specifics of our faith, namely that “I’ll believe just in case lulz” arguably isn’t a belief, it’s a pretty handy tool for probabilistic utilitarians in the tangible world. I don’t know for sure if lead-based paint, cell phone signals, sulfates in shampoo, aspartame in soda, or fluoridated water are harmful or if microwaves really so supercharge the particles inside food that our bodies’ defense systems cease to recognize them as food and begin attacking them like poison or something. I just ask myself what it would cost me to avoid them all and the answer was “not much,” so I kept microwave popcorn and tossed out everything else. No more philosophy in the rest of the videos, promise! Now off to the ranch. The Governor’s assistant warns everyone they’ve been led into a trap, so Kratos and Raine want to ditch Chocolat and go save the world. Colette vetoes them because she’s the Chosen, and the assistant wants in too. Even though he can’t fight [Hopeless Characters: 2], Lloyd’s like yeah, sure, because no one knows as much as him about being told you’re worthless. This entry was posted in Gameplay vs. Story, Philosophical, Reviews, RPG Rundowns, Thinking Ruins Everything, Thought Food, Video Game Writing and tagged Final Fantasy, Game Heroes, Game Heroines, Pokémon, RPGs, Tales of Symphonia on February 23, 2014 by JellyPaladin. The story in Tales of Symphonia, especially early on, aims toward old-school RPG fans. People who value originality above all may not like it too much, but some of us live for this kind of thing. For the most part, it’s a fun and lighthearted fantasy story–and like with so much classical fantasy (see the Silver Age of comics, Dragonball Z), the story is a little silly (see Batman: The Brave and the Bold, original Dragonball), a little cheesy (Star Wars, Sailor Moon), and even a little self-contradicting, but that’s the beauty of it and it has a big heart in the right place. If you want to jump on the emotional roller coaster, though, you’ll need to play the game yourself. I’m only here to make fun of what I love. To get 100% completion, you need to finish this game at least three times—and I did that and started noticing certain… things. I’ll take them in the order they come up. 1) Colette Brunel Who Now? It seems like the writers had no idea what to do with Colette’s character. I’m not saying I don’t like her! I like her a lot, but we’ll talk about that later. I’m just saying it seems they wanted to make their heroine appeal to everybody, so they gave her every character trait they could think of even when they conflict with each other. You can tell in the first few minutes if you look for it. Let’s go to examples! 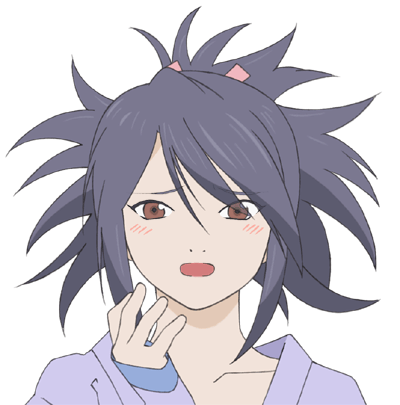 This entry was posted in Gameplay vs. Story, Philosophical, Reviews, RPG Rundowns, Thinking Ruins Everything, Thought Food, Video Game Writing and tagged Dragon Quest, Game Heroes, Game Heroines, RPGs, Tales of Symphonia on February 17, 2014 by JellyPaladin.